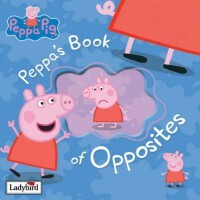 This book is about adorable little peppa pig that notices opposite things. She notices opposites like happy and sad, small and big. This book would be good for kindergarten and first grades It is important for students to understand the opposites and meanings of things . I would allow my students to bring two items to class that are opposite and allow them to present them to the class.